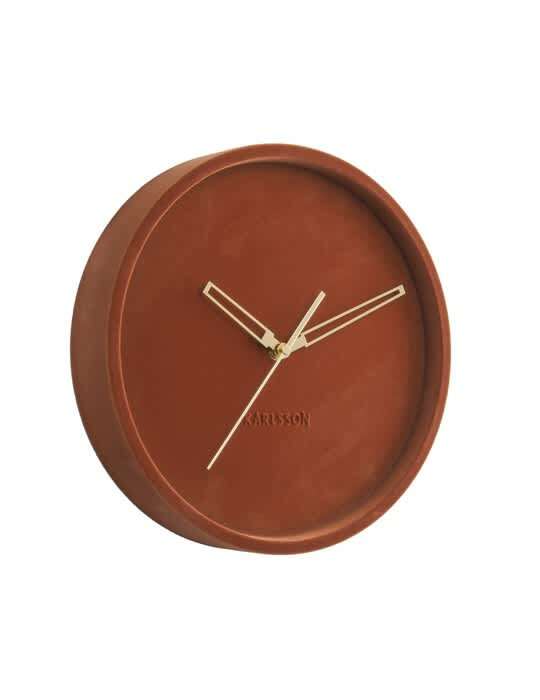 This is a clay brown wall clock Lush from the brand Karlsson with a diameter of 30 cm. The classic and elegant design of a clock with gold-colored hands is completed with a soft velvet edge. It makes no sound so you can sleep peacefully.